Let there be light! Matilda has power and working light fixtures. So our plan to be in the house by Dec. 1 was a bit … optimistic. The tile for the master bathroom shower. But the delay allowed Karl and I to head to Brooklyn for the holidays rather than moving into the house over Thanksgiving. We had such a wonderful visit with friends and family. We did, however, realized quite quickly that we’ve already morphed into Detroiters. First sign: We were standing in the park behind the Ikea in Red Hook where we noticed about 200 metal carts standing there, not chained up or anything. We looked at each other and realized we were thinking the exact same thing: How have these not been scrapped? There’s a scrap-metal facility less than a half-mile away… you could just push them there. I mean that with no disrespect for my new home. After all, we’re paying the very hefty price to rebuild a house that was cleared out by scrappers, so we can joke about it. 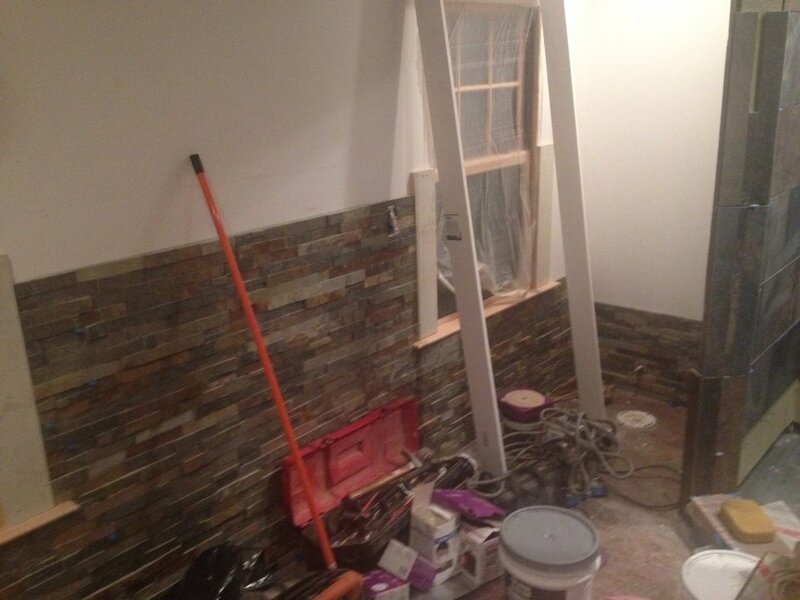 The stackstone tile going up on the walls of the master bathroom. It won’t be everywhere, just an accent wall. On the good news front, Matilda has lights! It’s like magic: You flip a switch and everything illuminates. 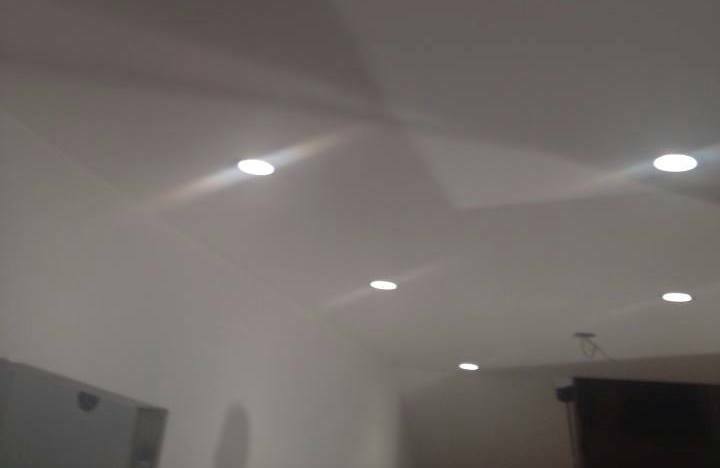 We’ve had electricity for a while, but the lights and switches weren’t installed, so everything was lit by construction lamps. 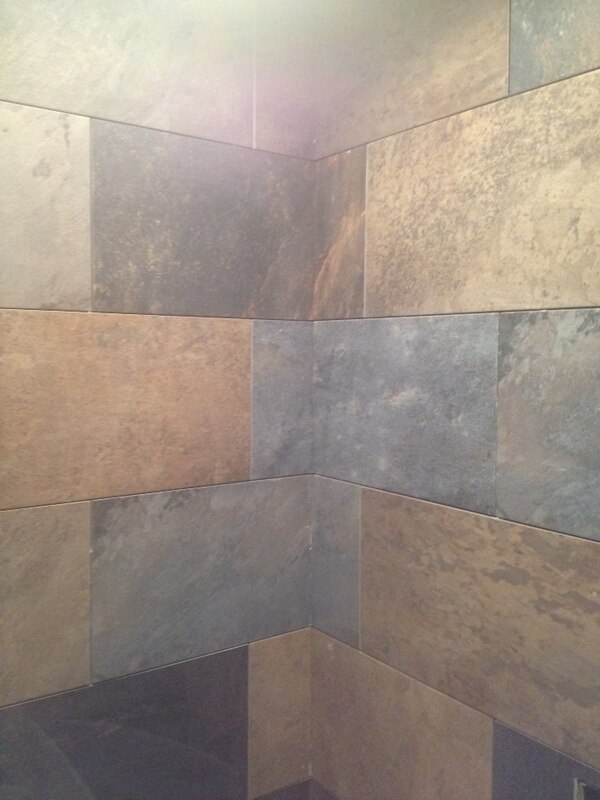 That bathroom tile is almost done and the floors are also being sanded this very week. We’ve even picked out our floor stain, which the contractor is custom mixing for me because, well, I’ve been know to be particular. By Sunday, we could have finished hardwood floors! And that, my friends, means something so very, very exciting: a kitchen! A kitchen is coming next week! All The Things are happening. All The Things! So now we are hoping for a Jan. 1 move in. Fingers crossed. Hey, somehow ‘Lights’ sounds so very Christmasy. Maybe now a tree? (just kidding). Perhaps Matilda’s pretty well insulated if it was warmer than your $750/wk apt?